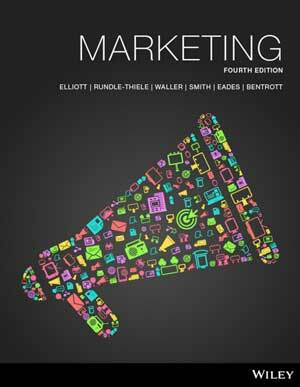 Marketing, 4th Edition (Elliott et al.) 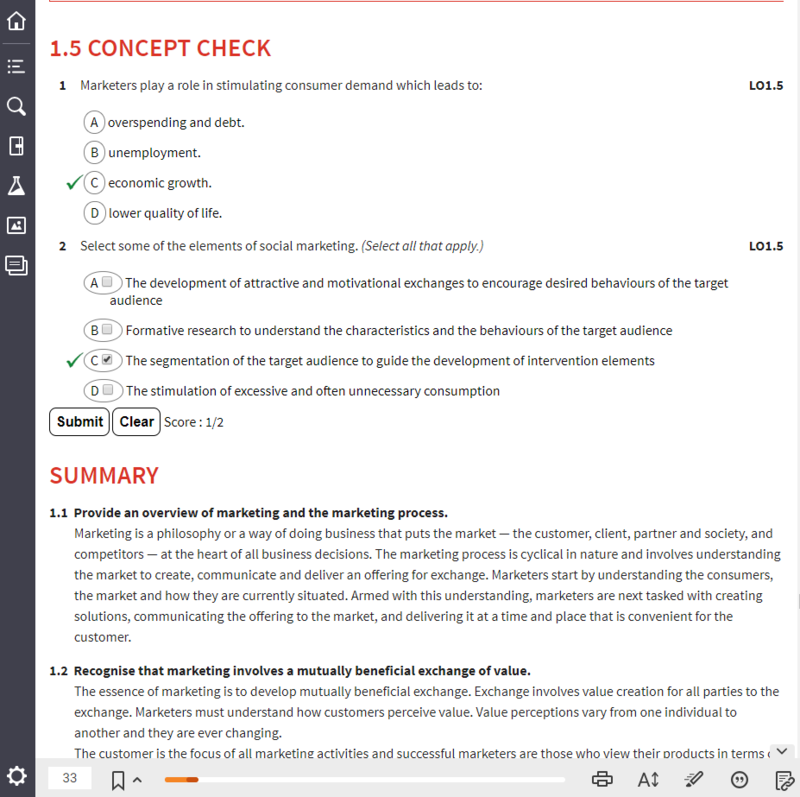 was designed with the first-year marketing student in mind and covers key marketing concepts in a style that is easy to follow and understand. This new edition uses numerous regional case studies to illustrate the relevance and importance of marketing topics covered in class. New to this edition is a whole new chapter on Data and Analytics. Insightful and engaging content delivered in concise, digestible chunks to support students’ engagement and retention. Unlike many existing marketing resources, this new edition is designed specifically to align with the most common topics in a marketing unit. A brand new chapter on Data and Analytics covers this crucial topic that affects the majority of marketers in the real world. Greg Elliott was formerly Professor of Business (Marketing) in the Faculty of Business and Economics at Macquarie University, a position he held since 2005. Prior to this, he was a Professor of Management in the Macquarie Graduate School of Management. Greg has extensive experience in teaching marketing in Australia and overseas, and in course program management in South-East Asia. He is currently an academic advisor to a number of higher education providers. Before joining Macquarie University, he held academic appointments at the University of Technology, Sydney, the University of Western Australia and the University of Melbourne; and visiting appointments at Trinity College and University College, both in Dublin, Ireland. Greg has published extensively in the academic marketing literature and his current research interests are in the fields of services marketing, financial services and international marketing. Prior to his academic career, Greg spent over a decade in the marketing research and marketing planning area of the banking industry. More recently, his consulting activities have been concentrated in the banking, financial services and professional services sectors. Professor Sharyn Rundle-Thiele is Director, Social Marketing at Griffith and Editor-in-Chief, Journal of Social Marketing. Drawing on her commercial marketing background, Sharyn’s research focuses on applying marketing tools and techniques to change behaviour for the better. She is currently working on projects delivering changes to the environment, people’s health and for the greater social good. Selected current projects include changing adolescent attitudes towards drinking alcohol (see www.blurredminds.com.au/students), increasing healthy eating and physical activity to combat obesity, reducing food waste and delivering change in wide variety of settings. Research partners include Defence Science and Technology Organisation, Australian Defence Force, Queensland Catholic Education Commission, Redland City Council, VicHealth and more. Sharyn’s research is published in more than 100 books, book chapters and journal papers. David Waller is a Senior Lecturer in the School of Marketing, University of Technology Sydney. David received a Bachelor of Arts from the University of Sydney, a Master of Commerce from the University of New South Wales and a PhD from the University of Newcastle, Australia. He has over 20 years of experience teaching marketing subjects at several universities, including the University of Newcastle, the University of New South Wales and Charles Sturt University. He has taught offshore programs in Malaysia and China. Prior to his academic career, David worked in the film and banking industries. David’s research has included projects on marketing communications, advertising agency–client relationships, controversial advertising, international advertising, marketing ethics and marketing education. He has published over 70 refereed journal articles in publications including the Journal of Advertising, Journal of Advertising Research, European Journal of Marketing, Journal of Consumer Marketing, International Journal of Advertising and the Journal of Marketing Communications. David has also authored or co-authored several books and workbooks that have been used in countries in the Asia–Pacific region, and is a regular presenter at local and international conferences. Sandra Smith is a lecturer in the Department of Marketing at the University of Auckland Business School. Her research interests are framed by a general interest in the way actors in marketing systems construct meaning within and about their consumption experiences, particularly with respect to the brands with which they engage, including the ways employees narrate their experiences of the corporate brand. Sandra has also conducted work in relation to negative consumer brand engagement, movie goers’ interpretations of brand placements and consumer identity work. She has published her work in a number of top marketing journals including Marketing Theory, the European Journal of Marketing and the Journal of Retailing and Consumer Services. Liz Eades is a lecturer of Marketing at both RMIT and Swinburne universities, a position she has held for over ten years. She has over 20 years of experience in the fields of marketing and management, having worked for various multinational clients and organisations. She has managed and directed her own business since 2004, where she actively consults numerous clients on marketing, communications and management issues. Liz holds a Master of Marketing, a Master of Business Administration, and membership to various industry organisations. Ingo Bentrott is a lecturer in the Marketing Discipline Group at the University of Technology Sydney, a position he has held since 2005. Prior to this, Ingo worked for over six years in the analytics and data mining industry. He also worked in production and quality assurance statistics in electronics manufacturing for five years. Ingo’s research is the use of data mining to boost the accuracy of traditional marketing modelling techniques. Specifically, he looks at ways to improve models that contain unobserved heterogeneity, missing data, unknown data interactions, and large amounts of unstructured text data. Students can purchase their textbook with an interactive eBook code from Wiley Direct: Marketing, 4th Edition (Elliott et al. ).